The Alibi is open from 9am Monday - Saturday for breakfast and continues all day with a traditional menu including rustic pizzas. 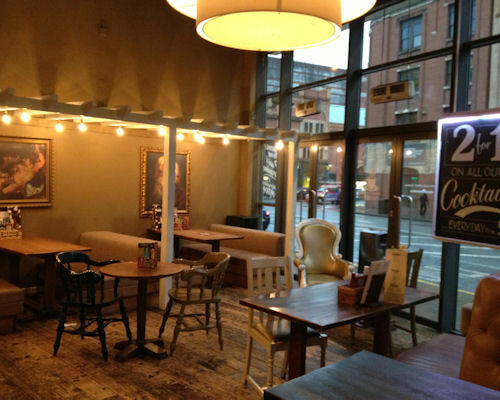 Situated in the heart of Manchester's bustling city centre, close to The Palace Theatre, Bridgewater Hall, St Peters Square tram stop and Oxford Road train station, it is the place to be seen. 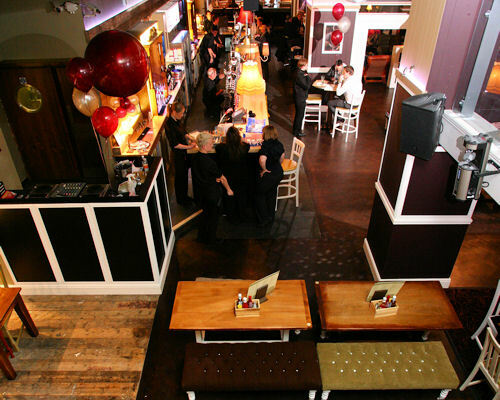 The Alibi offers a great food menu, fantastic cocktail and wine menus and free venue hire for all occasions. Alibi is an ideal place for an afternoon wind down, getting together for a few drinks with friends or to call in after a days shopping. They also cater for larger parties. The Ram's Lounge is positioned in front of the bar and is in the hub of The Alibi. This section is ideal for those small more intimate gatherings of 25 people. It is great for after work drinks, a meal with family and friends or to watch sport on the large plasma. The Antelope's Garden is positioned at the front of The Alibi, this larger hire section can comfortably seat over 60 people. It would be great for the office Christmas party and those special birthday celebrations. 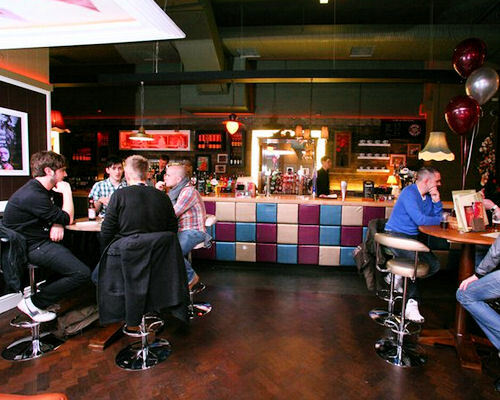 The Living Room is in the rear of The Alibi and is the largest section for hire. 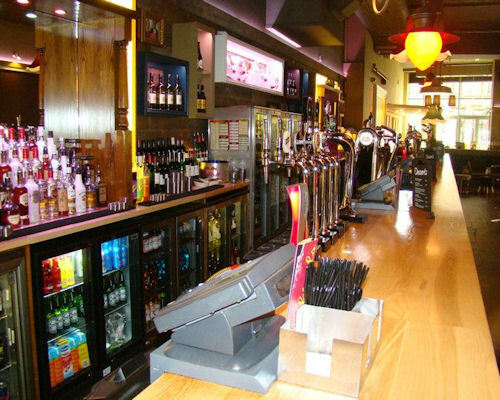 It can accommodate up to 200 guests with a private section of the bar catering for all your guests needs. This fabulous space also houses The Alibi's dance floor so you and your guests will be able to dance away all night long. The V.I.P. 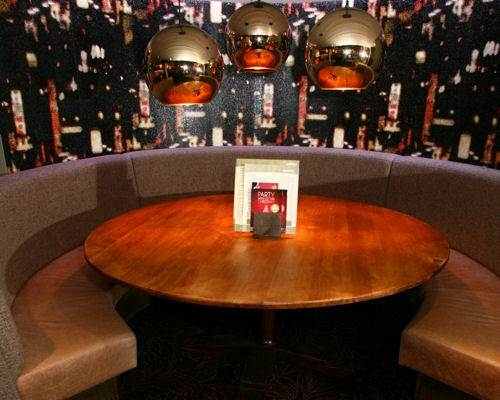 mezzanine area at The Alibi overlooks the entire venue and is available with full table service. 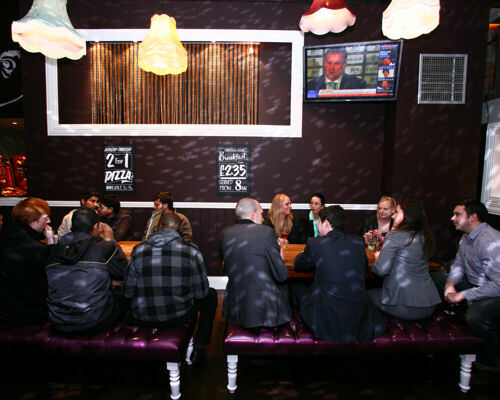 It hosts a 3 metre big screen and a large plasma ideal for sports gatherings and small business meetings. It is a great space for celebrating birthdays, office parties, stag and hen dos or for a few drinks with mates at the weekend. A range of packages are available to suit your every event need. You can host an informal event up to 40 people or for a more formal experience, up to 20 guests. 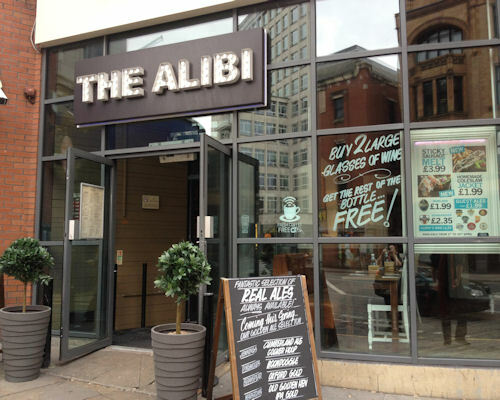 The Alibi have a large menu of drinks available from lagers, local ales, wines, cocktails and Champagnes. 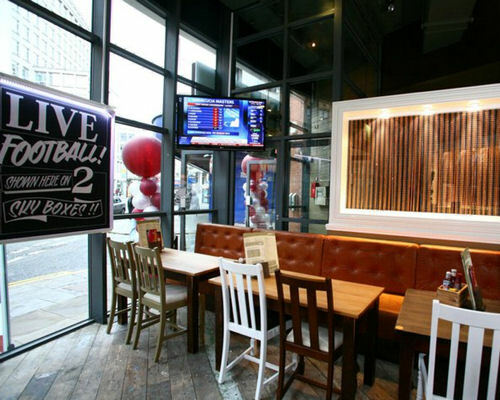 Local, national, international sports events – if it’s on, you should be in Alibi Manchester. Live sport events are shown at The Alibi Manchester and there's a great offer for you and your mates! There's coverage of sport provide by both Sky and BT on many plasma screens throughout the bar, so you can catch more than one game at any time. Why don’t you reserve an area to watch the football and set up some snacks to enjoy during the game? You’ll have premium viewing access in the VIP area which caters for parties between 20-40 people, and a guaranteed spot to rest your pint whilst you watch the match. Buy any house cocktail from the cocktail menu and get a second one free. Buy two large glasses of house red, rose or white wine and receive the rest of the bottle for free. "The Alibi now has a distinct attraction to office workers, sports fans and large groups.